M. Night Shyamalan’s 2000 superhero movie Unbreakable is the rare film that’s still cool to like, even if it wasn’t a commercial or critical smash on its original release, but due to an unfortunate series of events that can only be described as “his next few movies,” Shyamalan has had trouble recreating that level of coolness. 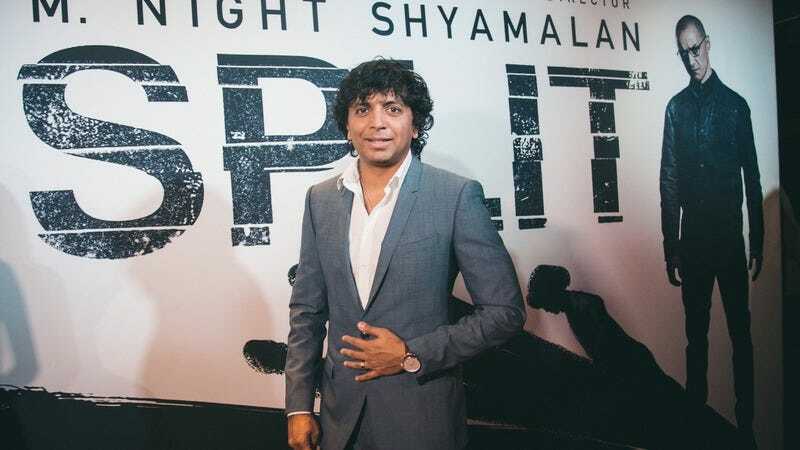 Earlier this year, though, he successfully got people excited about this career again with Split, a particularly weird thriller that revealed itself to be a semi-sequel to Unbreakable in the final moments. That gambit paid off, and it got people so hyped on Unbreakable again that Shyamalan began moving forward with Glass, a team-up movie of sorts that would formally combine the worlds of Split and Unbreakable. Basically, Bruce Willis is a superhero trying to stop James McAvoy’s character from Split, only to discover that Samuel L. Jackson’s character from Unbreakable is orchestrating the whole thing. Glass is scheduled to premiere in theaters in January of 2019.